I finally got my hands on some Cotton Scrubby Yarn from Red Heart!! I have been dying to work with this yarn and make crochet dishcloths. 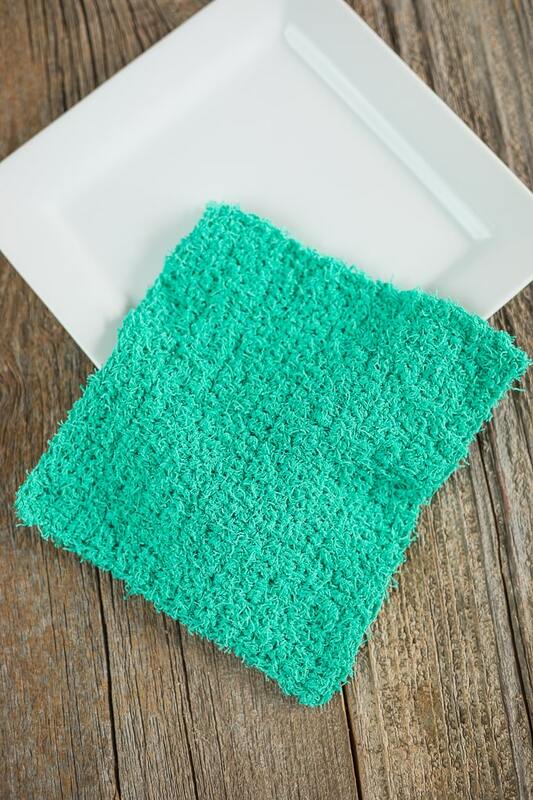 So the first pattern I have for you using this yarn is a simple crochet scrubby dishcloth pattern. 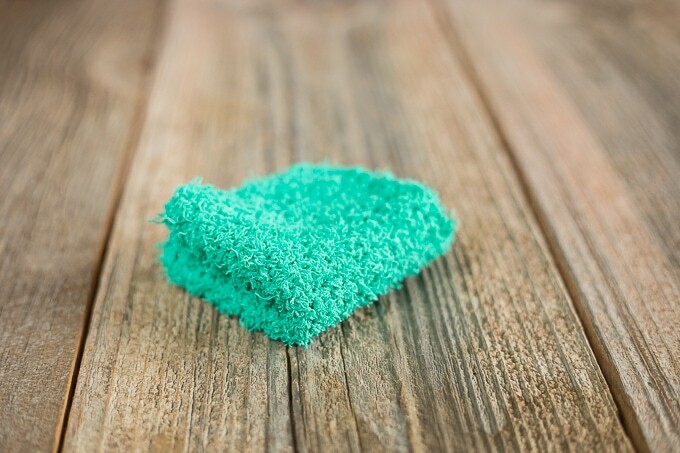 This scrubby yarn is like the original scrubby yarn, except it is 100% cotton. Which means is it perfect for making dishcloths! This would make a great gift idea for Christmas, house warming, or for kids moving out of the house. Digital Row Counter – I use this row counter and love it! Enter your email in the newsletter box below and you will receive an email with a link to print the pattern. If you do not want to sign up for my newsletter, you can purchase the pattern on Etsy for a small fee. Hello Devon, just wondering what size crochet hook to use? Thank you!